This is our only little vineyard (only 100cs produced every year) of Gewurztraminer in Gueberschwihr which is not located in the Grand Cru Goldert. The soil is made of a blend of marl, limestone and some sandstone that was eroded from the hills above and got mixed up. What differentiates this area to the neighbouring GC vineyard is the fact that we do not have much high quality clay here. (High quality clay is clay with a high exchange ratio and high capacity to fix minerals and therefore link with the humus in the soil). 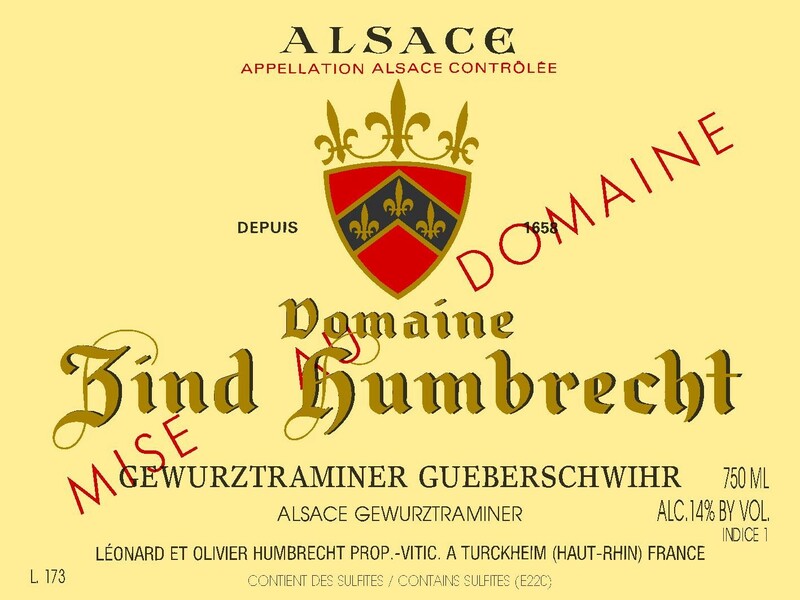 So less minerality and complexity in the wines, but, however, it has an interesting location for producing drier, more elegant style Gewurztraminer because of a later ripening climate and good acidity.